On October 2013, the Lync team announced on their blog that Lync became supported on the System Center Advisor platform which is a free service that helps IT Pros avoid known issues in their environment based on different deployments scenarios and other workloads. Things have changed since then, and Microsoft just recently announced that System Center Advisor is now to be called Azure Operational Insights. 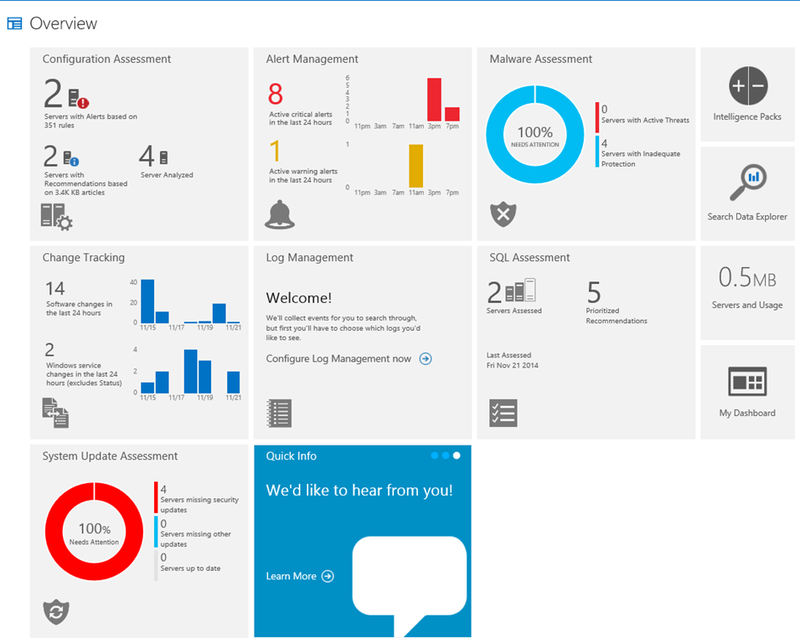 So, what is Azure Operational Insights again? Ok, and how do I gain access to it? Simple, just go to https://preview.opinsights.azure.com/instructions and follow the instructions. Choosing of whether to go with Organizational account (in case you have Azure AD) or a Microsoft Live ID account. What do I actually get by using Azure Operational Insights that I can’t get by using SCOM and how does it do any good for my Lync environment? Workload Oriented – once the information begin to sync with Azure Operational Insights, it takes a few minutes for it to identify the workload (Lync, Exchange, AD etc.) and start reporting on the specific settings and recommendations per workload. For example on my lab Lync environment it reported the missing Memory and CPU configurations (which are similar to Lync BPA), the missing of critical updates (Which is similar to WSUS), Configuration missing for Lync Phone editions, Network configuration which are not properly configured on my Mediation and bunch of other alerts which i’m not sure they exists on other tools. Intelligence Packs – Intelligence packs are a collection of logic, visualization and data acquisition rules that address key customer challenges. Intelligence Packs can be selected from an integrated gallery and offer pre-built rules and algorithms that perform the initial analysis for critical scenarios like capacity planning, configuration intelligence, and change tracking. Change Tracking – this features is very important, it allows you to get a change records of changes made on the environment / servers such as services status change, software installation etc. 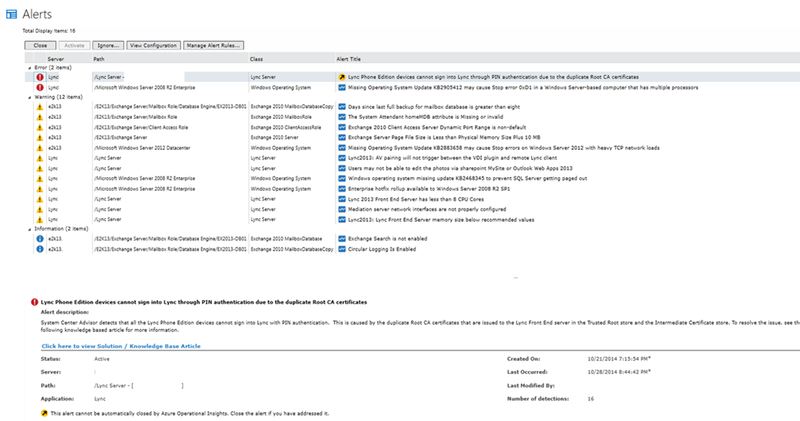 Configuration Assessment and Alert Management – A nice GUI tool which for me it seems like a mix of Lync BPA, SCOM 2012 Management Pack and WSUS. It gives a clear picture on the status of the current servers per workload, for example, what configurations requires immediate attention and what updates are missing as well. all that packages with really cool KPI and graphs.